Gator is a professional website builder built by the team behind popular hosting company, HostGator. Gator comes with a free domain name and web hosting with each of their plans. Gator Builder offers dozens of pre-built templates to design your beautiful website. It has tools for analytics, social media, and marketing to help you grow your business. 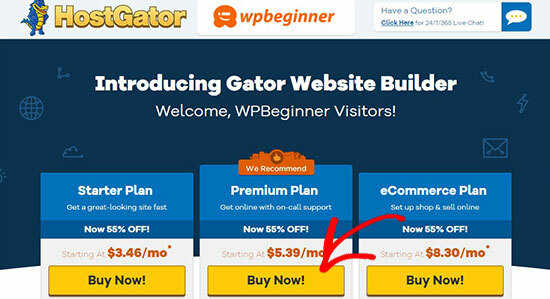 The best part is that WPBeginner users get 55% OFF on the purchase of Gator Website Builder using our exclusive Gator Website Builder coupon code. How to Use Gator Website Builder Coupon Code? WPBeginner’s exclusive Gator Website Builder coupon code helps you get 55% off on the popular drag & drop website builder. All you have to do is follow our instructions below to properly redeem Gator Website Builder coupon code, so you can get the best discount on Gator Website Builder. 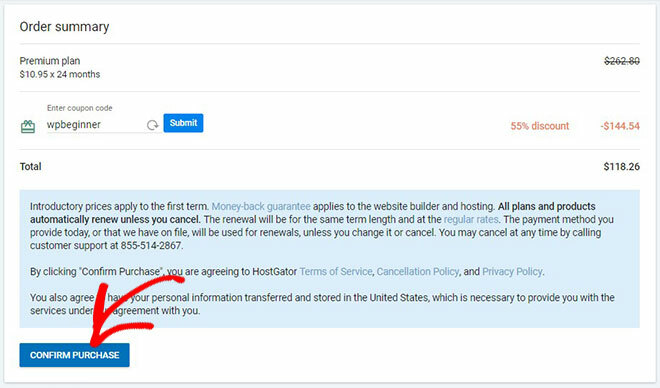 First, you need to visit the Gator Website Builder website using our link on WPBeginner and click on the ‘Buy Now’ button below the plan you want to purchase. This will take you to the checkout page. 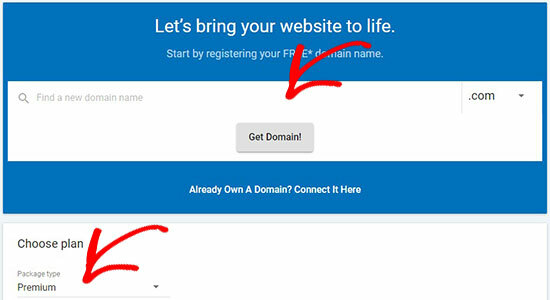 You need to enter your domain name or connect a domain and then choose a hosting plan. 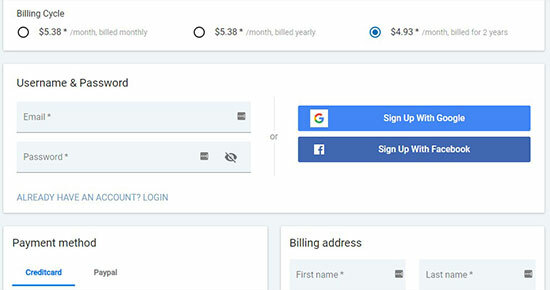 Scroll down to select a billing cycle, create your account, and enter the payment/billing details. Click on the ‘Confirm Purchase’ button to complete your purchase. We hope you found our Gator Website Builder coupon code to be helpful. At WPBeginner, we work hard to negotiate exclusive discounts for our users.